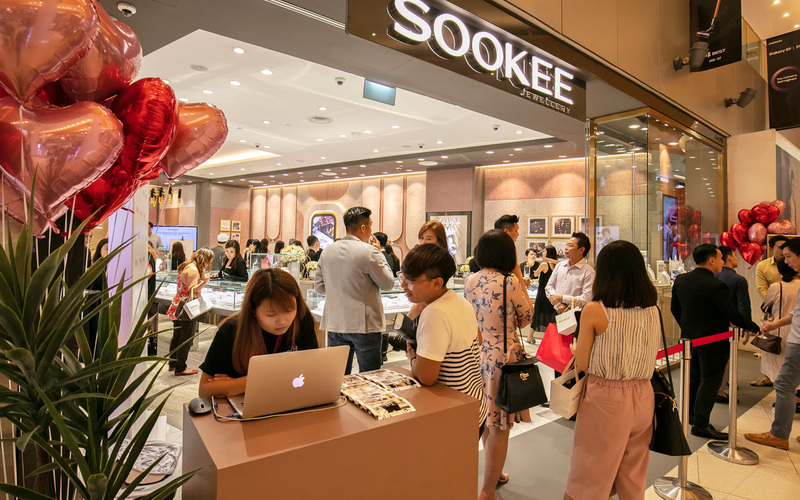 On 10 May 2018, it was double happiness as SOOKEE Jewellery launched an all-new Bespoke Experience and celebrated the grand opening of its flagship store at VivoCity. The newest boutique embraces an open concept and sports a contemporary interior design. Wide glass panels with champagne gold stainless steel frames lend a soothing elegance to the modern décor. The brainchild of an Australian designer, the store’s look takes inspiration from the hourglass, which is widely known as a symbol of timelessness. 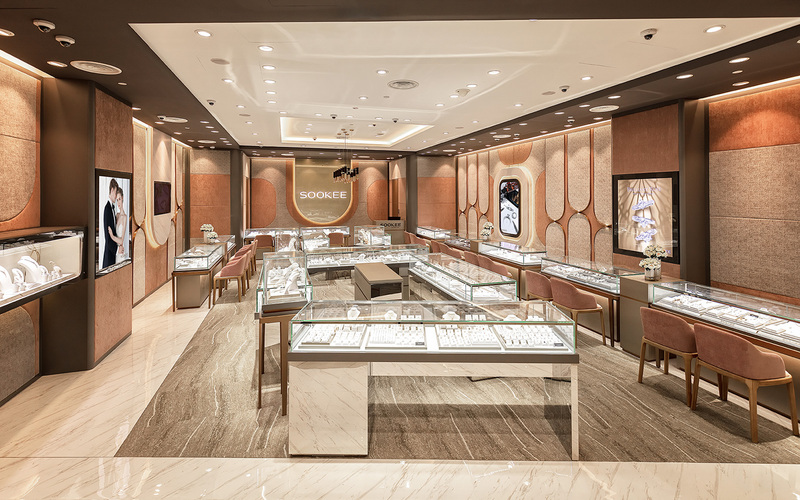 Spanning over 1,172 square feet, it is SOOKEE Jewellery’s largest store in Singapore. Some 100 invited guests witnessed and joined in the celebration at the significant milestone for the jeweller. They were led on a short store tour by emcee and television host, Angelique Teo to admire the elegant modern décor. 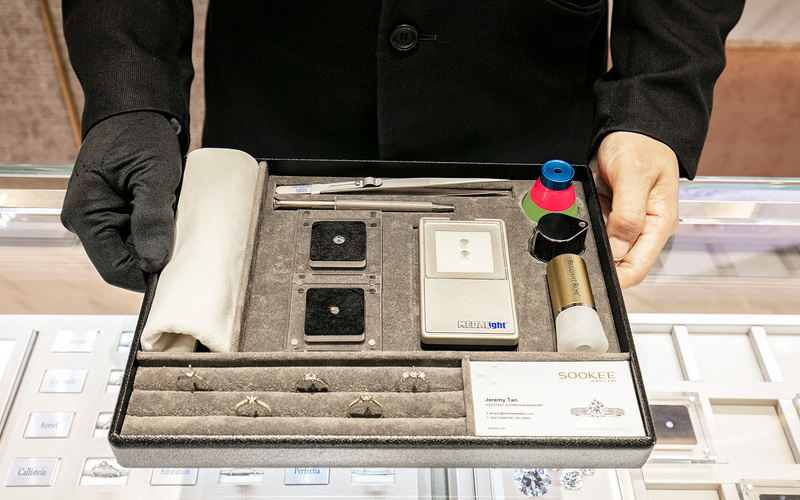 Then, the guests were led to the bespoke experience bar in the boutique where they were given a live demonstration of the personalised service. 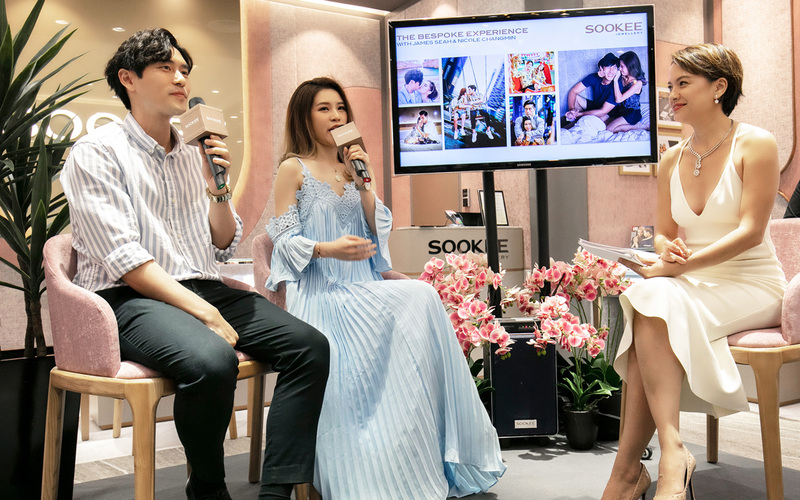 MediaCorp artiste James Seah and social media influencer Nicole Changmin, who are a couple in real life, shared their love story with the guests and jewellery designer Shuting. 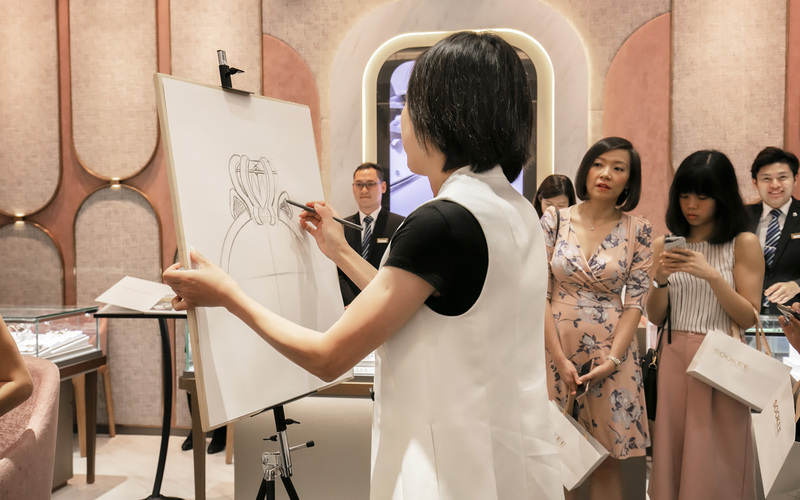 They then witnessed how Shuting translated their love journey into a one-of-a-kind ring design as she sketched a new creation on the spot. 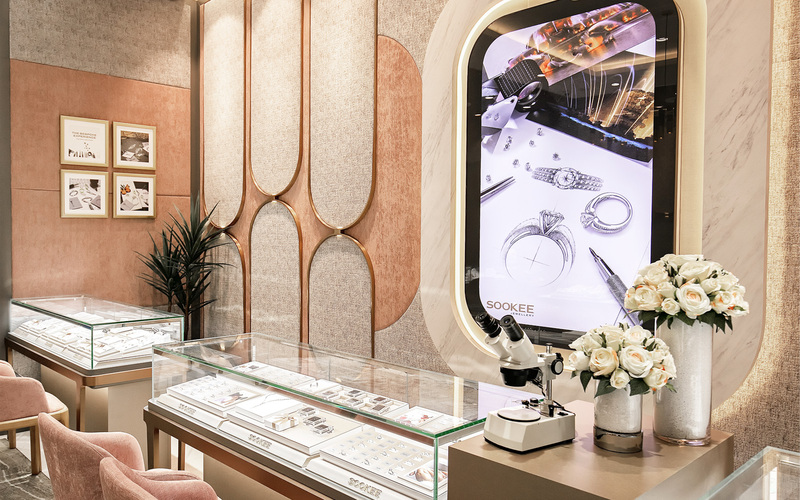 The new experience positions SOOKEE Jewellery as a bespoke experience connoisseur where customers can design and customise their own bespoke ring based on their own experiences. Based on the concept of “One Ring, One Story”— the love story behind every couple is unique and the milestones in each relationship can hold different meanings — the new service provides couples the opportunity to flex their creative muscles and celebrate their love story in their own way. 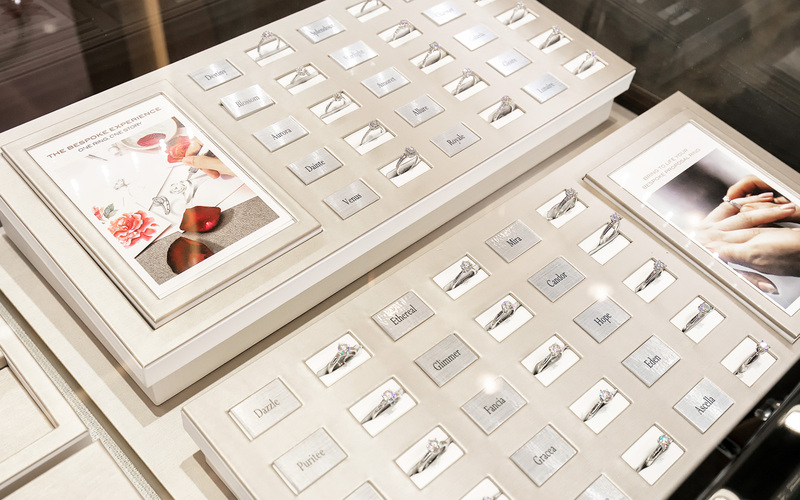 This strengthens SOOKEE Jewellery’s reputation as the jeweller of choice for couples and a purveyor of the bespoke creation experience. To experience the service, customers first schedule a consultation at the VivoCity flagship. SOOKEE Jewellery’s in-house diamond specialists will provide a preliminary diamond education, which includes the introduction of the 4Cs and the viewing of diamonds through ASET and “Hearts and Arrows” scopes — using different scopes allows the customers to learn about different diamond quality, which subsequently aid their diamond selection process. 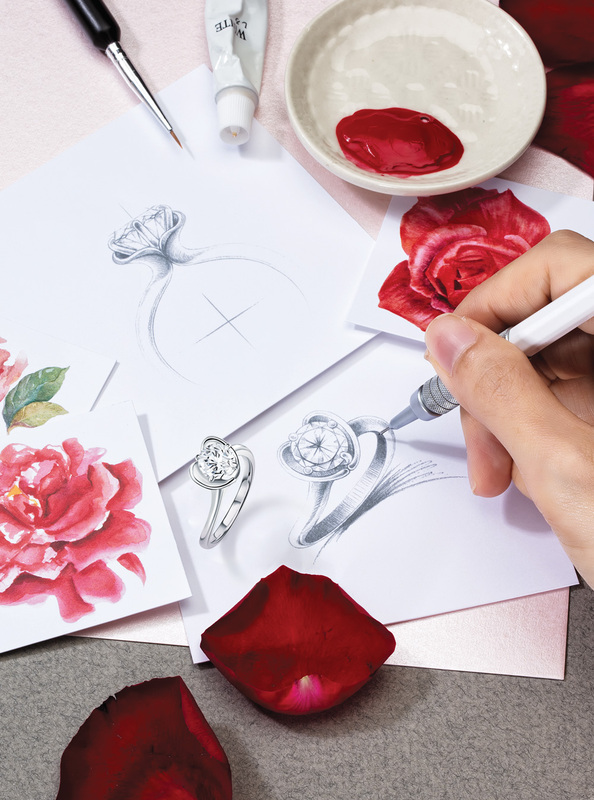 Next, customers share their love stories and design inspiration with a jewellery designer, who will then use their brief to create the sketches. When the design is done, a 3D rendered image and a 3D printed wax mould of the bespoke ring will be created for the customers’ final approval. 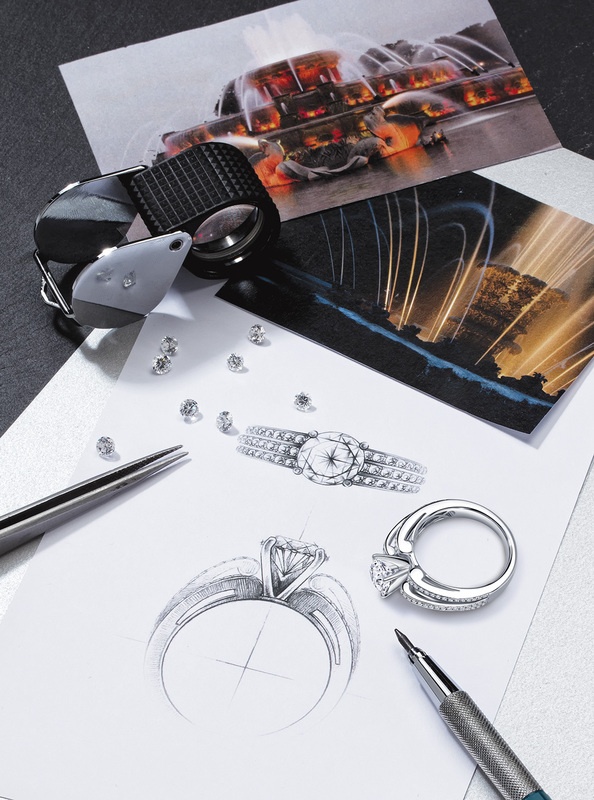 What makes the bespoke service even more special is that every ring will be individually handcrafted by an appointed master craftsman, who will immortalise the love story inspiration and bring to life the bespoke ring. For more information, go to www.sookee.com/bespoke-ring.